A German shorthaired pointer named C.J. 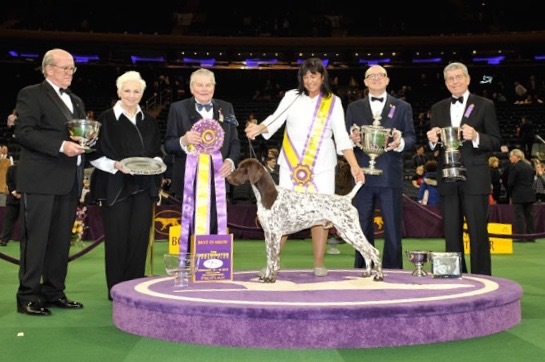 won Best in Show at the 140th Westminster Kennel Club dog show in New York on Tuesday, besting nearly 3,000 contestants over the two-day competition. Dogs from all 50 states and around the world were whittled down to just seven final contestants, but the three-year-old pointer “California Journey” took the top prize – an upset for those who favored German shepherd named Rumor.